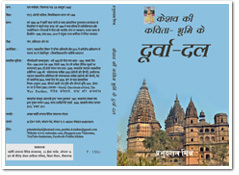 The book brings out a brief account of some saints, lierary figures and model people of Orchha region. A commentary on Ishavashyopnishad being published by Indraprasha Prakashan, Delhi. Published and forwarded by Shri Swami Shivomteertha, Yoga Sanyas Society Dewas, MP India. It is a poetic rendering of the mystical prayers composed by Adi Shankaracharya of the 8th Century India. This great classical text is a queer combination of Yoga, knowledge and devotion. DK Distributors and Publishers, Ansari Road, Daryaganj, Delhi, India. Krishna’s conversation with Arjuna is acknowledged as the ultimate word of wisdom. The book is based on author’s lectures on the subject in the erstwhile USSR during his three months stay in Tajikistan in 1989. It is an updated translation of the English original. Sahitya Bharti Prakashan, Krishna Nagar Delhi, India. An introspective account of inward and outside spiritual voyages with great Yogis and masters of present as well as past. Vishwavidyalaya Prakashan Cahuk, Varansi, UP, India. 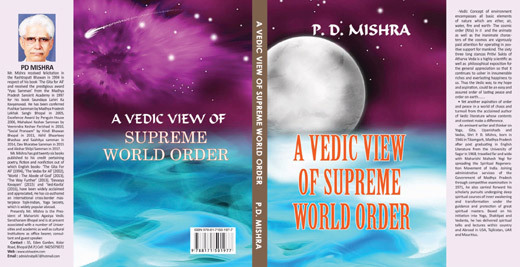 A fiction based on the theme of Upanishads, with contemporary note and application of the subject. Vishwa Vidyalaya Prakashan, Chauk Varansi, UP, India. Poetic rendering of 31 selected important hymns of Vedas containing high philosophy, poetry and science. The Holy Vedas for ALL, 2002. Published by Books for All, Ashok Vihar Delhi, a sister concern of DK Publishers and Distributors, Ansari Road, Daryaganj, Delhi, India. An introductory account of the four Vedas, i.e. Rig-Veda, Yajurveda, Samaveda and Atharvaveda.... not because they are the most ancient, not because they are held to be most sacred by Indians and not because they speak about all familiar things of the world and its inhabitants, Vedas are important because they imbibe an incessant search and explorations, and much more is necessary to be known about them. Published by Books for All, a sister concern of DK Publishers and Distributors, Ansari Road, Daryaganj, Delhi. 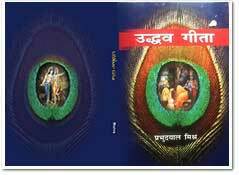 It is an updated Hindi version of The Holy Vedas for All. 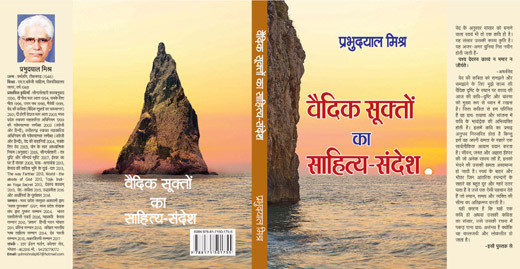 Published by Indraprastha Prakashan, Krishna Nagar, Delhi. Myths, parables and stories, collected and compiled from the Vedic literature. Yog Ke Saat Adhyatmic Niyam 2007. Commentary on the Madhya Pradesh and Chhattisgarh Autonomous Cooperatives Act 1999 (Hindi as well as English), 2003. Publisher MP State Cooperative Union, Shapura, Bhopal, MP, India and Samarthan NGO, Raipur respectively. An interesting study of the process of making this law in the State of Madhya Pradesh. The earnestly and in his own right brings out some deeper intents of the law for the use and application of it. » Edited Manuals on Cooperative Housing, Credit and Audit in 1997, 2002 and 2003 respectively.